What a gorgeous card! Thank you for sharing your spritz formula AND for the info that it hasn’t clogged! Love the blue/pink sky! Beautiful winter scene! 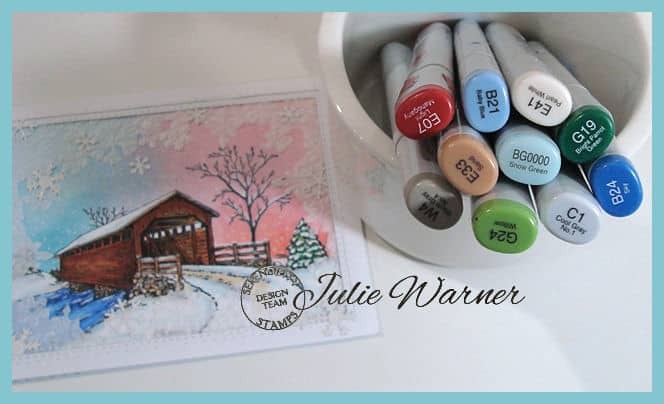 Love the colors and the pretty snowflake border! Lovely details! Hi Julie! What a beautiful card. Love this image. Also, thanks for the tip on the white spritz idea. Wow! This is so gorgeous!!! 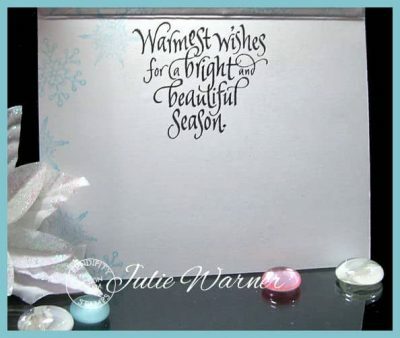 A perfect winter themed card!!! 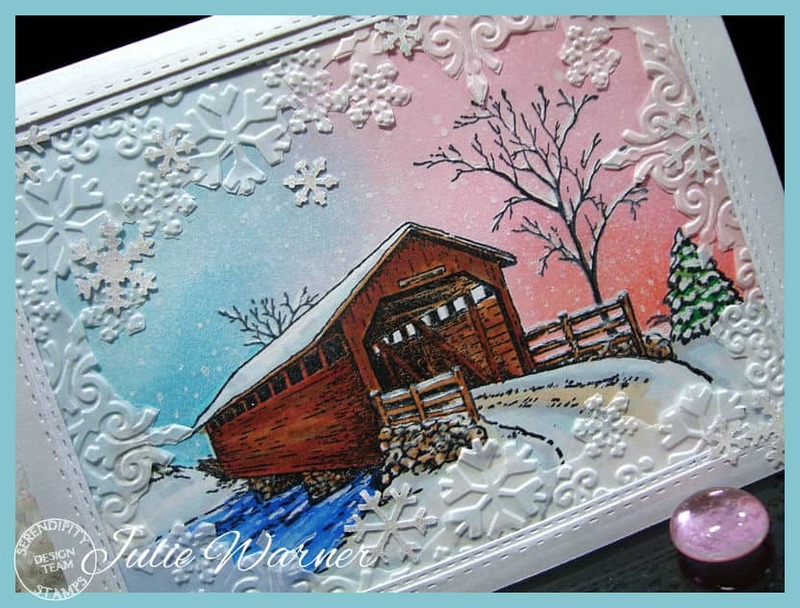 I love this covered bridge, Julie! 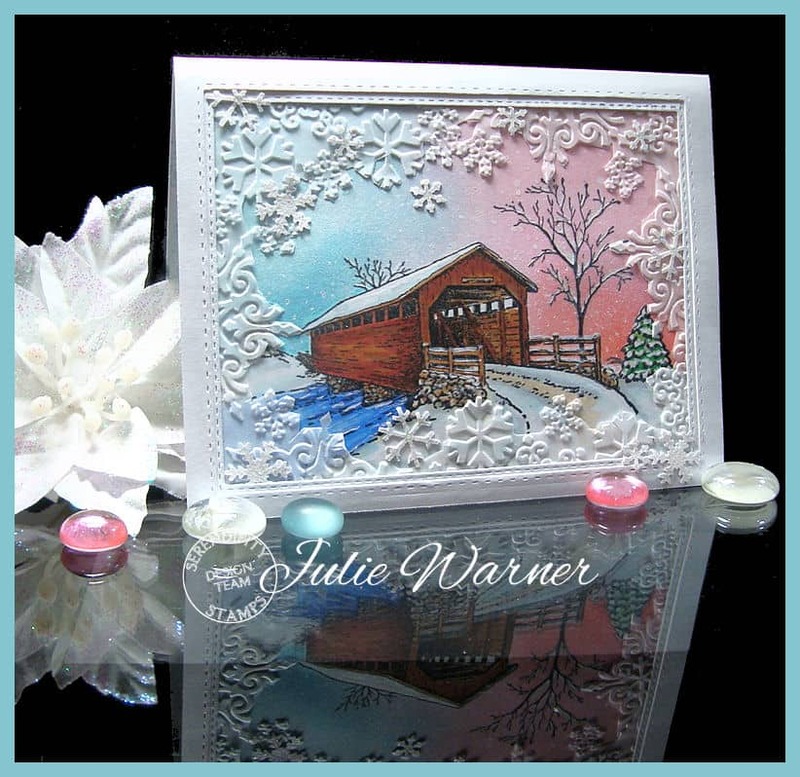 The sponged sky and shimmery snow make it magical and the snowflake frame is gorgeous! I am soooo loving this card! I love that you blend the color pink on the one side and blue on the other side absolutely lovely! Especially adding the white little spritz all over afterwards! The vellum ebossed overlay is amazing too! Your card is beautiful. Love your coloring and the snow frame. Wow. this is gorgeous. I like your coloring and all the snowflakes. What a pretty, classic Holiday card! 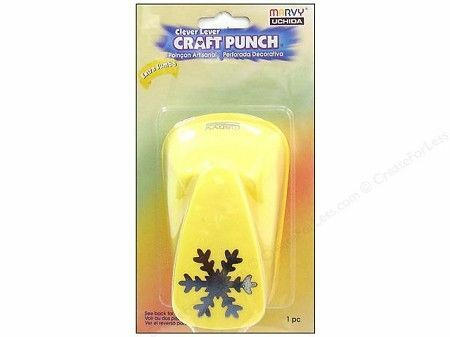 Love your coloring and the texture the snowflakes add. Beautiful card! I love that you created a “window” into that lovely scene. This is so beautiful! The overlay is a fantastic touch! 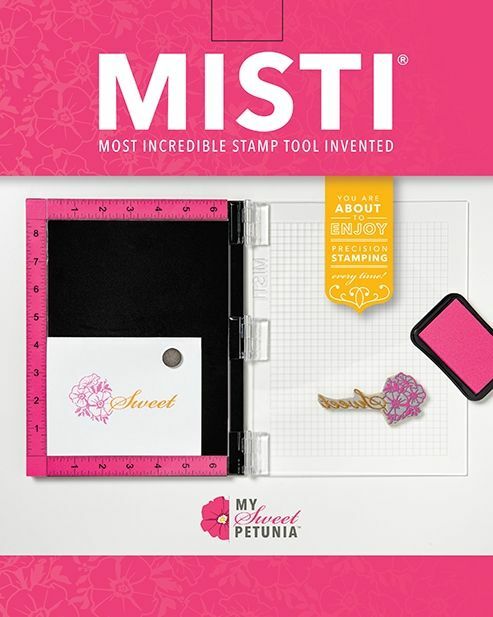 Love your card – that is an amazing image! A beautiful card. Love the gorgeous sunset and the pretty snowflake frame.